I'm not going to lie, we have a really awesome transition program at our school that has created real businesses to help our students get work experience and to earn money for community outings, like our coffee business. 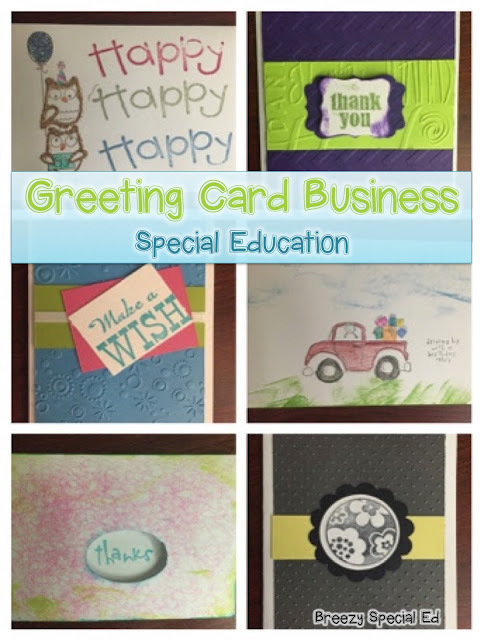 This next business I want to talk to you about is our greeting card business. Now, the teacher in charge of this business has been doing this for several years now, and is a rock star at all of this, so don't be intimidated by all of the different styles and cool things we have on our cards. You can start simple and add more once you can! Stamps - ask around, go to garage sales, thrift stores! If you can't find any, the ones below should cover enough to get started! 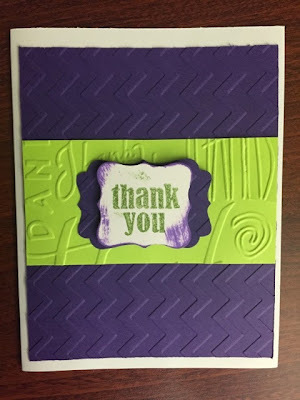 Solid Colored Scrapbook Paper (try Michaels or Joann's with a 40% off coupon!) Do not use construction paper! Punches - think circles, squares, etc. 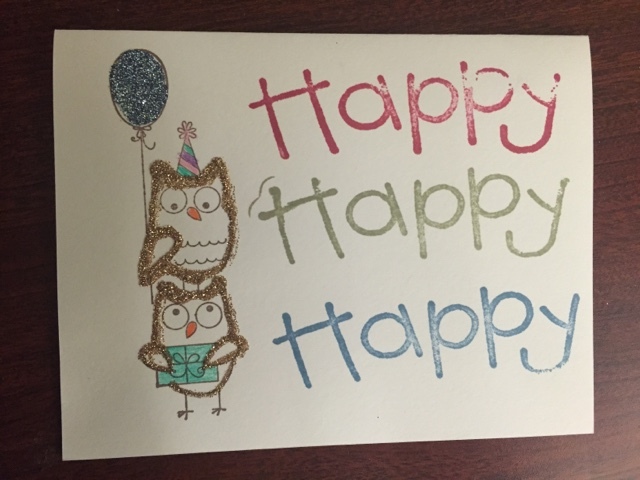 Glitter and Glue Pens - glue pens are the best way to add glitter to a card! Holy moly, that was a lot of links and a lot of searching. You're welcome :) These are affiliate links, so while it costs the same for you, I get a small percentage if you choose to purchase anything from those links. Next step would be to find a card design that you like and write down the directions step by step when you create it. 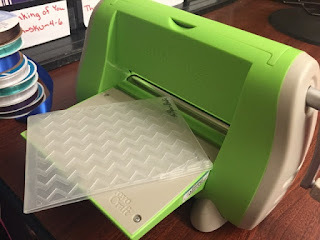 If it has a paper background or paper embellishments, write the sizes to cut it at (this is where the sliding cutter comes in handy, staff might have to measure and line it up, but then the student can slide and cut it). If you are using fun picture stamps (like the happy birthday owls or truck), students can color them in with colored pencils when they are dry. You can order a fun stamp with your card business name and contact info to place on the back of each card. Like this one for example. These offers come up on groupon or living social all of the time! Our stamp only cards are typically $1 and paper cards are $2. We do offer package deals, see our order form below! 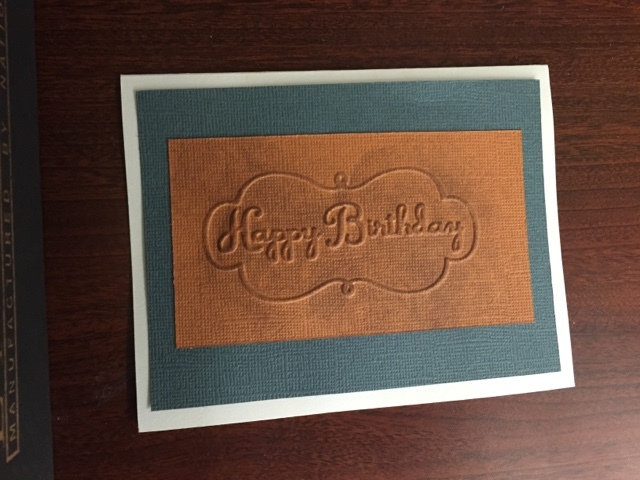 This card was created with two different card stocks and the cuttlebug made the cool Happy Birthday embossing. 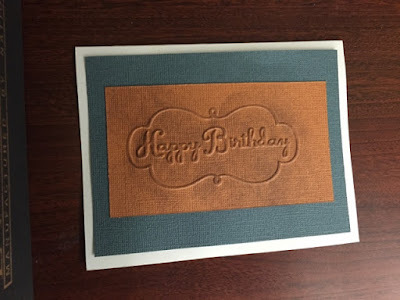 A sponge was pressed into a stamp pad and brushed over the top to give it that distressed- type of look. This is a $2 card. 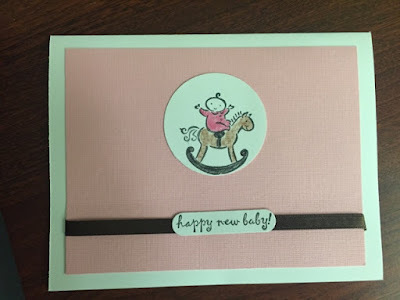 This card was made with stamps, colored pencils and glitter! We would sell this card for $1. How adorable is this card? The cuttlebug adds a lot with the fun textures and it's pretty easy for students to get the hang out. Cards like this are great because there is a lot of steps and you can work on it in an assembly type of system. One student might cut all of the background, another the papers, another the stamp, another putting the different parts together, you get the picture! How cute is this on! 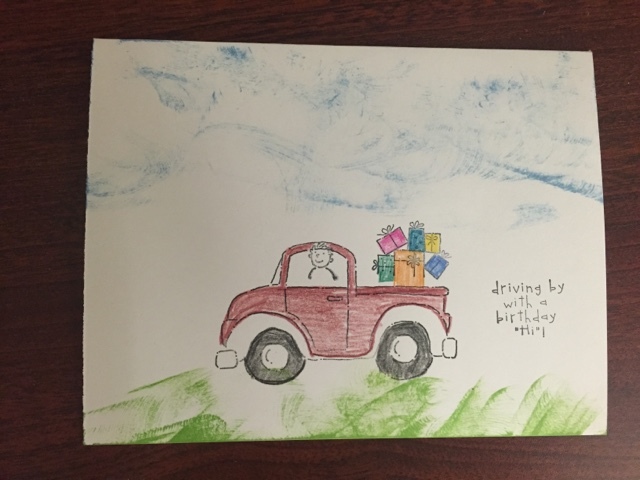 The sky and the grass are made with a stamp pad, the truck is stamped along with the message, and then colored in by a student. I love how simple, yet creative this one is. 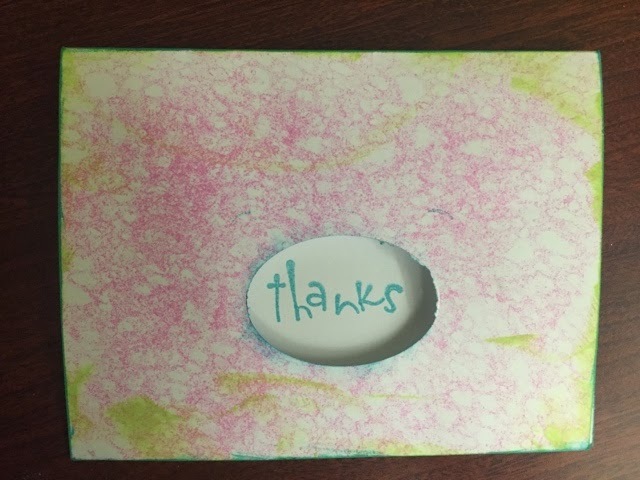 The "thanks" is inside the card, with a hole punch on the outside so that you can see the thanks. 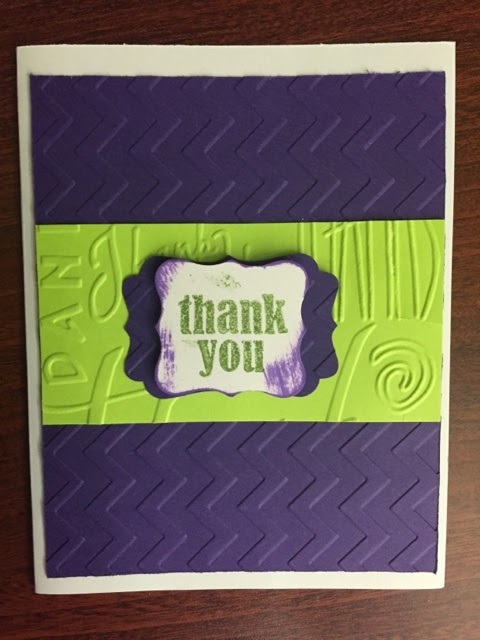 A sea foam sponge was used to stamp this cool design all over the card! More fun with the cuttlebug here. 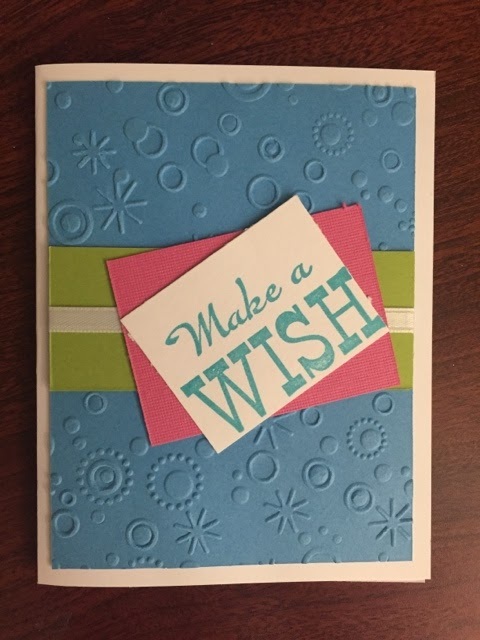 Again, you can see a couple of different punches and stamps, one colored paper background, and a ribbon makes up this $2 card. Here's what our order form looks like. We send this form out to the other teachers in our building and to our students' parents as well. I like to send a form home with each field trip form to remind parents of the awesome opportunity they have to continue to support our community trips and our program! We use 100% of the funds we make from this business to not only buy new supplies to make new cards, but to cover ALL of our community trip expenses and ALSO to cover all the snacks and food that we have in our kitchen! It's an amazing business opportunity that has huge benefits for our students! 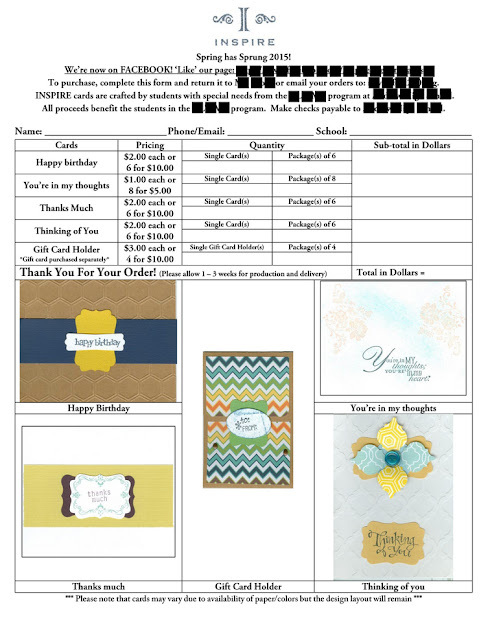 Interested in buying our cards? Like our 'INSPIRE Greeting Cards' Business on Facebook or order directly from this website! *Note, our workers don't come back until mid-August, so you are not currently able to place orders on the website, but save it for later! Brie, you rock! I love this and love that you post about real-life, functional activities for our older students!! Thanks so much for sharing this! What a great post! 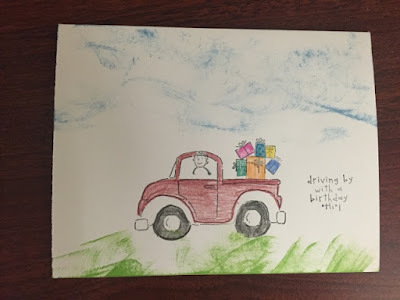 It's coming at a perfect time as my class is in the beginning stages of starting to create greeting cards with the hopes of starting a small business. Thanks so much for posting this. It's encouraging, inspirational and so meaningful. Anything you would add to this list now that you have been doing it for so many years? I am working on a grant right now, and want the best resources for my students to work as independently as possible. Thanks so much! I love this and I'm actually in the process of starting a card company at my school with my LFI students. Quick question. How do you guys go about teaching the students to make the cards? 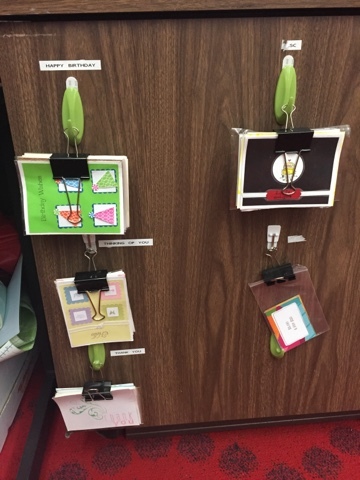 Do you have directions for each type of card or does someone walk the student through each piece? Any advice or information would be greatly appreciated!